Have you ever heard the term “sensory break” and weren’t quite sure what that meant? Or maybe you are more like me and you have run out of idea and need more sensory break ideas. You have come to the right place! Thank you Dayna for having me today. 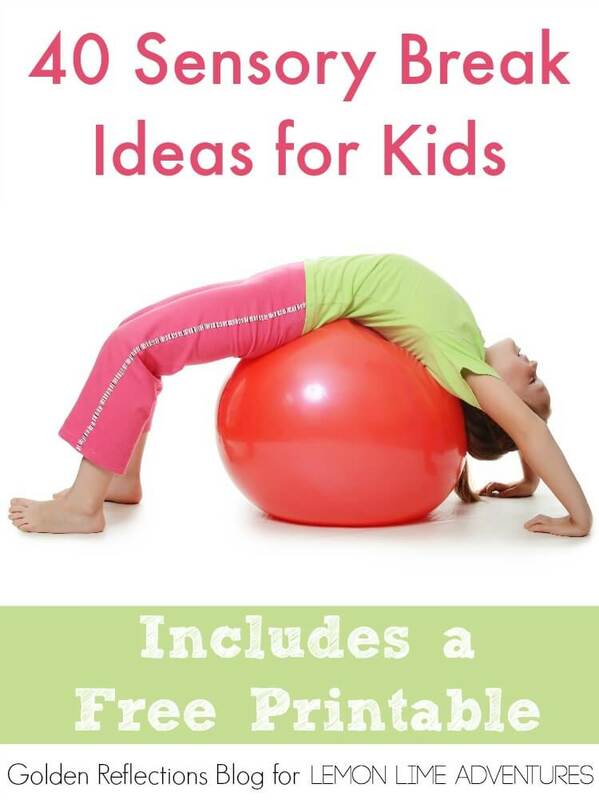 Sensory activities are one of my favorite things to write about and also do with my daughter. And with my background as an Occupational Therapy Assistant, sensory activities are something I used constantly with my kids in the school system. 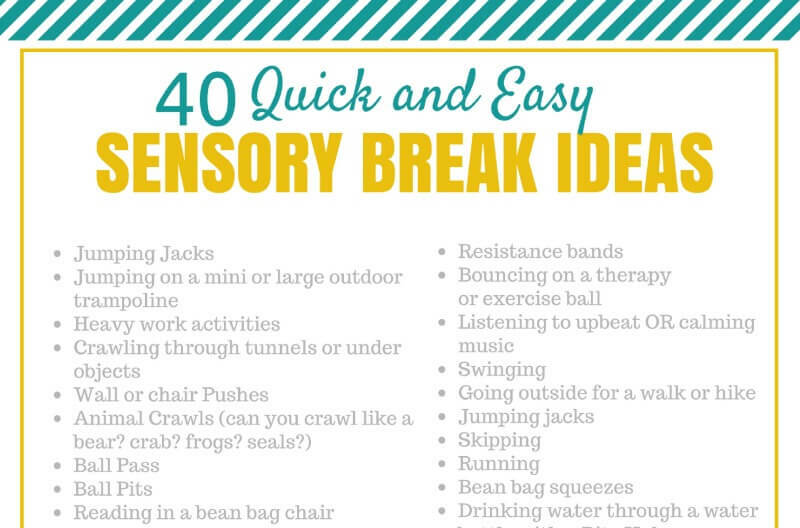 Today I wanted to share with you some different sensory break ideas that are great for kids of any age. What is a sensory break? Each of us has our own way in which we modulate or control our sensory systems. A person who is able to modulate well is someone who notices the sensory stimuli coming in, filters out unimportant information and their emotions and behaviors reflect appropriate responses to the situation or environment. For children or adults with modulation disorders such as ADD/ADHD, Sensory processing disorder, or Autism etc. they have difficulty regulating the sensory input they are receiving. Which is why sensory breaks are SO important for them. Why are sensory breaks important? Sensory breaks are a way for any child, whether they have sensory needs or not, to reset, decompress, and get the blood flowing back into their brains. We all know that children learn best through movement and exploring with their hands. Giving them breaks throughout their day lets their brains take a rest and reset, but they are also still learning vital life skills in these sensory breaks. How often should you do a sensory break? It has been suggested that children ages 3-9 need a break every 15 minutes. Also children younger than 3 can really not be expected to focus for much longer than 5-10 minutes, and some much less than that. Children in fourth grade and above it is suggested to have a break every 45 minutes. Realistically this may not always be the case. So if you can at least get a break in every 1-2 hours, that is ideal. Breaks can last anywhere from 10-15 minutes. And adults, don’t forget to add yourself in here as well. You also need to give yourself a sensory break throughout the day. I was recently at a continuing education course and I absolutely loved that the Occupational Therapist giving the presentation gave us 15-20 minute breaks every hour to hour and a half. It was great for me to be able to focus and soak in all the information we were learning about. 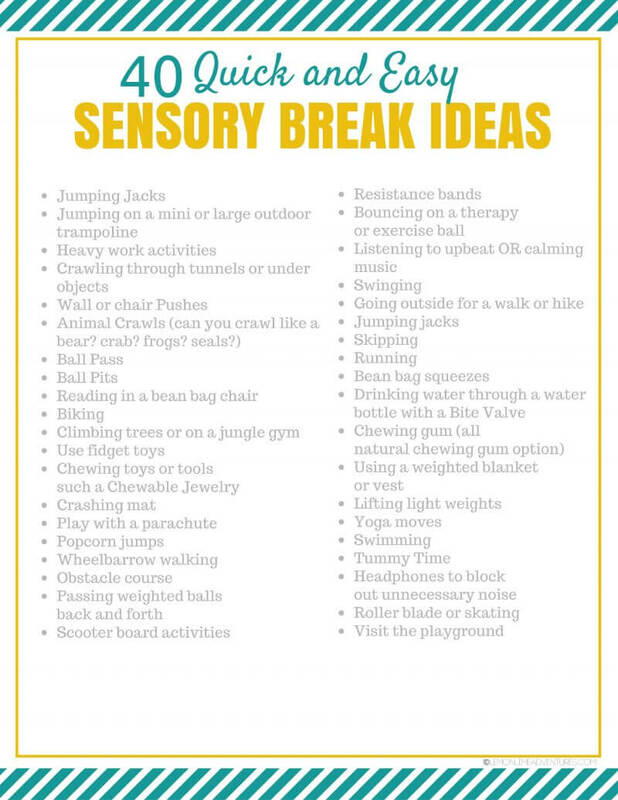 I have made a simple printable for you that has all of these sensory breaks in a simple and easy to display format. Place it on the fridge, in a frame or even in your child’s calm down spot so they remember them as well. Don’t get caught struggling to remember your options! 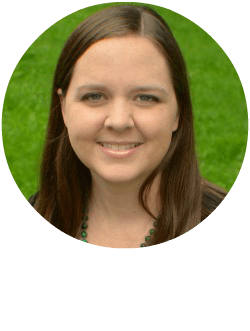 Heather Greutman is a homeschool graduate turned homeschool mom blogger. She worked as an Occupational Therapy Assistant in the public school system before becoming a stay a home mom to her daughter and soon to be born son. She writes at Golden Reflections Blog about Christian Montessori inspired homeschool with an Occupational Therapy twist. You can also find her on Facebook, Pinterest, Twitter, and Google+. 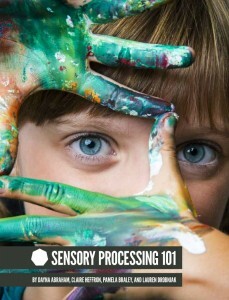 If you liked this post, then you don’t want to miss the launch of our new book… Sensory Processing 101, the complete guide to Sensory Processing. By joining our list, we promise to send you the first notifications and exclusive offers! This is SUCH a great resource! I love that it’s a printable too since I tend to do the same things over and over out of habit, but this will be a great reminder! Thanks again! Hello there- at the moment your downloads are not happening. I signed up, but when I click download, only a half screen of gobbledeegok showed up. Please let me know when it is fixed. Thanks! I am so sorry to hear that. Can you email us the problem you are having?